"Daar" is the latest artistic project of Álvaro Aragonés, who after nine years working under other name decides a change of air, and dives into a new musical idea.Álvaro Aragonés career dates back to 2006, when Funkvarosound was born. During the years 2007, 2008 and 2009 Funkvarosound ́s figure grows with certain shows and he releases his first references on labels as Insectorama (Germany), Lemon Water (Spain) or Dirthyphonic (USA), being the years from 2010 to 2012 the best so far playing live acts at Festivals like Electrosite (Madrid) or Ableton Dragon Festival (Almería).It ́s in 2013 when Funkvarosound gets his monthly residency at Taboo Club (Madrid), and his dj sets become more frequent than his live performances. 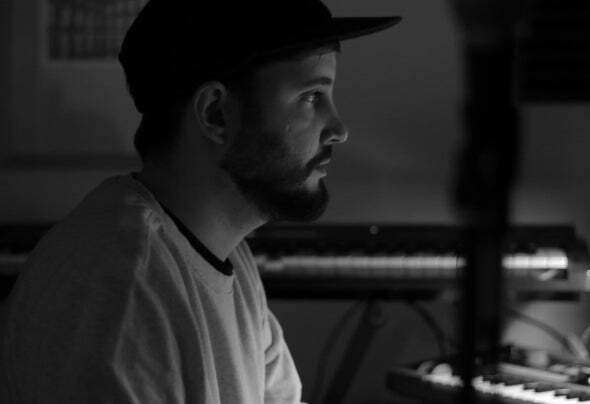 Between 2013 and 2015 Álvaro gets to be very present in the Spanish club scene.After 9 years performing around Spain and sporadically in Europe, Álvaro moves to Berlin, where he begins a new project focused on avant-garde, elegant and less bpms music.The idea of releasing an album is coming together and will come true on October 2016 with the debut album: “A Place To Be”. An album that includes seven original tracks under an intro and the bonus remix from Corion, Alvaro ́s personal quest.